Surfers are you looking for a special vacation with a difference? The first yoga retreat specifically for surfers Barbados, Caribbean. Yoga and surf, daily itinerary and yoga set within stunning tropical paradise converted Caribbean colonial house led by yoga teacher with background in yoga for surfers via RipCurl, Roxy and Quicksilver sponcered surf school and Olympic swimming team. Targeting strength, flexibility the breath and a little bit of soul. Karibu Gardens is an established stunning converted colonial house set within a two minute walk from the white sanded, turquoise waters of Barbados. Each individual apartment has been created with love and set within lush tropical gardens. 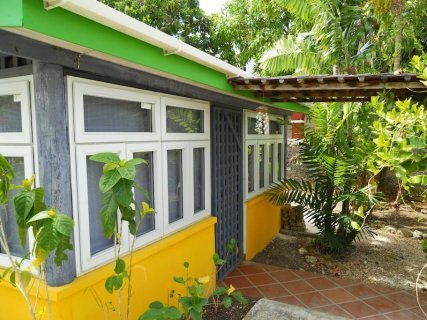 Full furnished, air conditioned, fully equipped kitchens, wifi and outdoor hammocks. Ideal for a getaway of fun and relaxation. 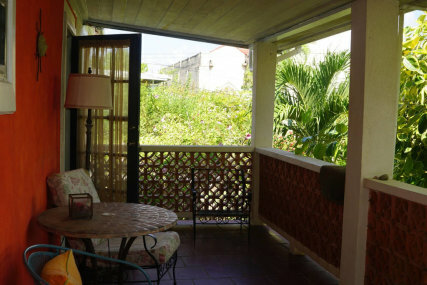 This beautiful apartment, framed by tropical plants from our lush gardens just beckons you to the rest of the property. You’ll be led from the outdoor dining area into the living room which blends seamlessly with the kitchen and workstation area. 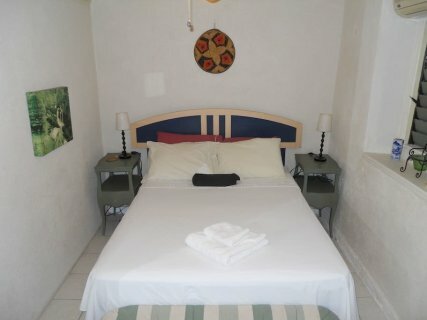 The bedroom, spacious bathroom and dressing area await you with everything you need to enjoy your stay with us. ust a few steps away from the main house and tucked away is this hidden gem, an ideal artist studio. With an open to concept layout this space lends itself to a spaciously designed living room, kitchen and counter to dining area and home office. 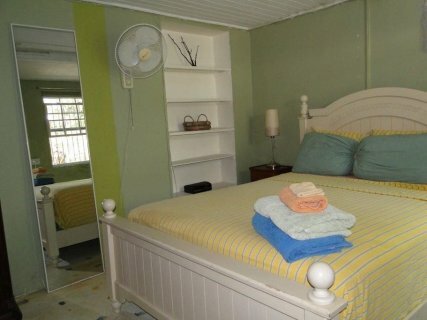 The bedroom has a full size bed and is designed to be private or included with the rest of the floor plan. A special touch of having an outdoor shower awaits you in your own private backyard set up for outdoor dining, entertaining friends or just relaxing. 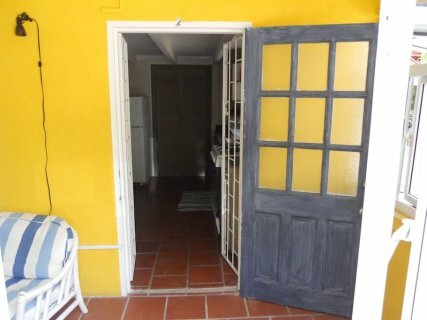 This gorgeous upstairs apartment has an open concept layout with a foyer, living room, dining area, and a fully equipped eat to in kitchen that will meet your every requirement. The bathroom boasts both a shower and bath tub giving you the option for a leisurely soak or an invigorating shower. 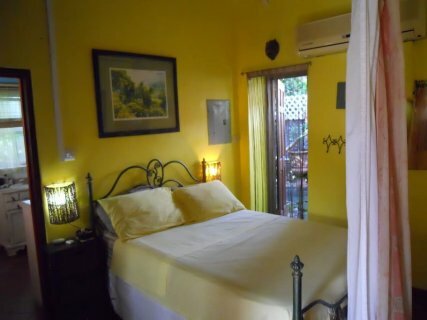 This apartment also features a spacious bedroom that extends out to a terrace overlooking a tropically planted garden with its bright colors and fragrant flowers. Imagine lying in a comfortable queen sized bed sipping coffee/tea as you watch a glorious sunrise in the morning. Absolutely breathtaking! Named for the lovely Bougainvillea, a tropical ornamental vine with vibrant, fragrant flowers. This apartment offers an open floor plan, with living room, dining, kitchen and an office/study area. Overall outstanding craftsmanship and decor awaits you. In addition to the master bedroom and spacious bathroom the office/study could be used as a bedroom for visiting friends or overnight guests. An enclosed patio offers private dining or lounging. A picturesque cottage detached from the main house, this one bedroom unit has a very large space with an open to concept design. It features a living room, spacious kitchen with a counter to dining area and lots of storage continuing that easy flow this apartment resonates. The bedroom with its gorgeous king to size bed is enclosed with windows all around allowing for complete privacy when closed or maximum lighting when totally open giving you stunning views of the garden. This apartment boasts the unique outdoor shower experience. Additionally there is a private dining and entertaining area awaiting you. Oriental touches give this apartment that Zen like atmosphere. Nick will be on hand to give fantastic surf lessons to all levels from beginner to advanced. Nick is also a former surf champion and traveled worldwide representing Barbados. Main Surf Beach: There are several but Hastings. Surf lessons are not included in the retreat but available daily. Yoga is included and offered twice daily within your beautiful accommodation garden in our wooden yoga gazebo and on the beach. Your instructor is Katerina Tsiplacis who specializes in yoga for surfers and has worked with RipCurl and Roxy.